We started our session at McKinney Falls State Park and I am so glad we did because the water was flowing and we practically had the place to ourselves, which I've never seen before. I was so happy because the sun was shining, but it was the absolute PERFECT temperature. 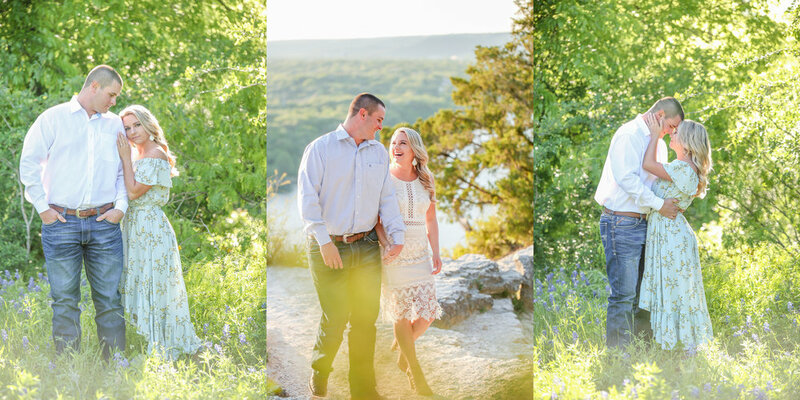 Also, just how amazing is a waterfall for the backdrop to showcase this sweet couple? I mean, c'mon! 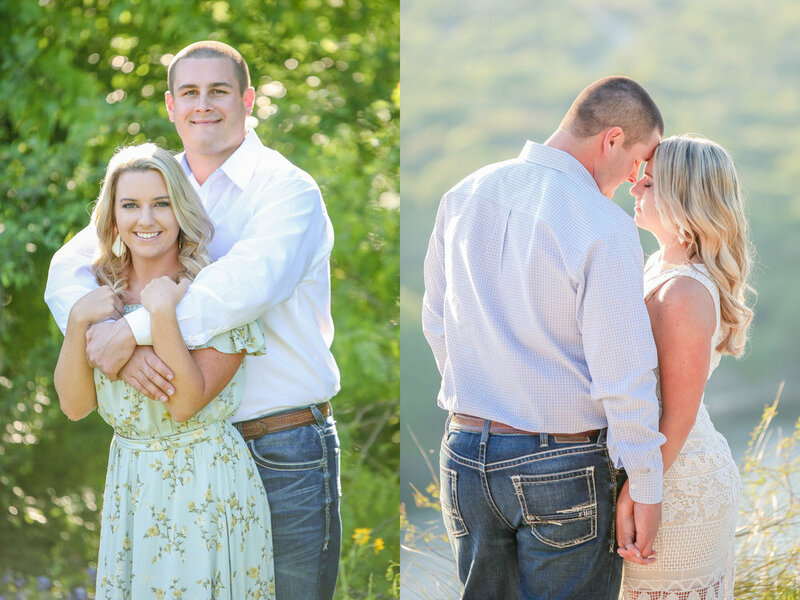 I had a great time getting to know the sweet couple more throughout our session and as they explained their story of how they met and how Clint proposed, it made me even more excited for their wedding next January! "Clinton and I both grew up in a small town just 15 minutes apart from each other without even knowing it. I’m from Bastrop, TX and he is from Smithville, TX. We met through friends of friends since we were both from a small town where everyone knew everyone and then the journey began." 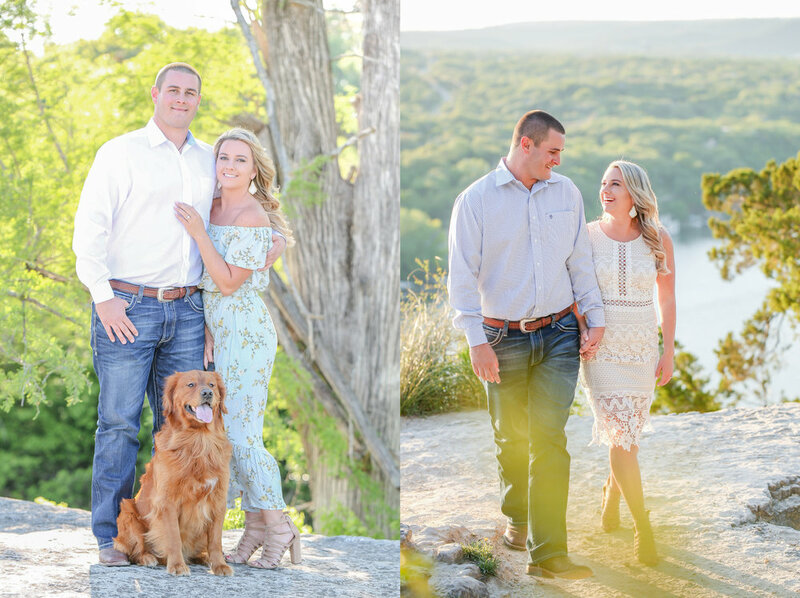 We ended our session on top of Mount Bonnell as the sun went down & it was an absolutely breathtaking view of Lake Austin & the natural beauty of the Texas Hill Country. 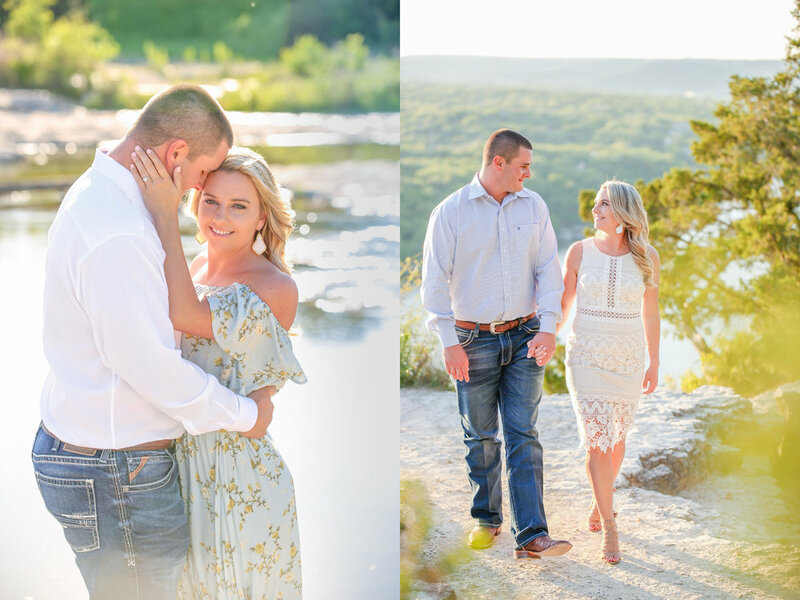 God sure did bless this great state of Texas with absolutely stunning views & I am so happy my clients chose to utilize that for their Engagement Session! "Every year it was a tradition to travel to South Fork, Colorado where the Robertson’s have a family cabin. Going to such a beautiful state and town became a tradition to gather there for family vacation and relaxation. Each trip we would go to a beautiful cliff that would outlook over many mountains for many miles. This spot we have been coming to the past 3 years was where the proposal was planned. As Clinton had bought the ring and planned this for months the day finally came that we traveled to Colorado for a family thanksgiving trip. This trip we had planned to go to this traditional beautiful cliff outlook 2 days before thanksgiving. My mom, dad, Clinton and I drove through the mountains to the cliff. When we got there we were looking for a great spot to stand to be able to take a photo. Clinton had been looking down at the ground at multiple ledges the cliff had and I had no idea what he was doing (this was him trying to find a spot that he wouldn’t fall off the edge when he got down on one knee because he’s scared of heights lol) we finally decided on a spot. As we were posing for a photo Clinton looked at me and said “ I want to spend forever with you” and after that I was in shock and aw that I could not remember what else he said because I knew what was about to happen. Clinton to this day, even though he planned something to say to me, doesn’t know what he said either because he was so nervous. That is when he got down on one knee and proposed. That beautiful outlook that has become a tradition has now become a lifetime memory we will never forget." We had such a great time together and how perfect is the sun shining through on these two? Natural light is something that really can't be duplicated & we were blessed with a fabulous day for our session. 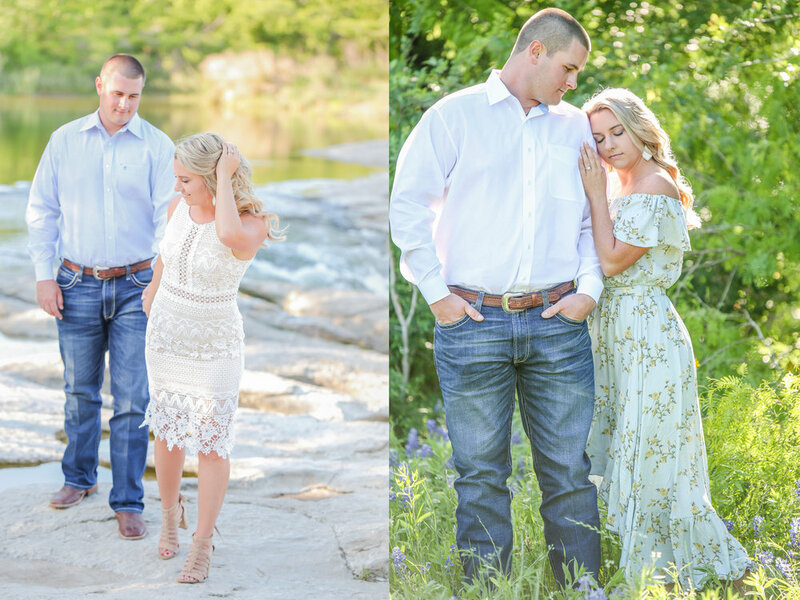 They completely rocked their session & I can't wait for the big day! I am so honored to have you as my sweet clients & I really look forward to serving you on your wedding day to capture the memories for you that you can cherish for years to come. You are in such a special chapter of your lives as you begin your life together, so remember to take time for each other and also for relaxation while you plan for the big day. I can't wait to be there for you in January!